This charming lodge is situated on the Honicombe Manor Holiday Resort, near the town of Callington, in South East Cornwall. 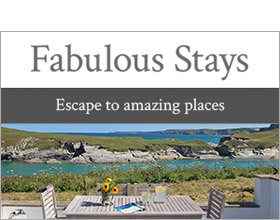 Set within the stunning Tamar Valley and with access to all the delights of Cornwall and just across the border in Devon. Perfect for families and friends, this cottage enjoys a lovely south-facing balcony and on-site facilities for you to explore at your own leisure. This reverse level accommodation displays a bright and sunny open-plan living room with sumptuous sofas, a dining area set for six. The kitchen is well-appointed with all the essential, integrated fixtures getting you through your stay. The ground floor houses a chic set of bedrooms, brought to life with uplifting colour schemes and crisp bed linens making you feel right at home. The master double bedroom adjoins the Jack-and-Jill bathroom and boasts French doors leading to a patio area. Choose a glass of your favourite tipple, pull up a chair and listen to the sounds of wildlife and the babbling river close by. Choose from two swimming pools, mini gym and tennis courts to spend your leisure time, or perhaps try archery, abseiling, rock climbing and canoeing. Spend a day or two exploring the fabulous regions of Bodmin Moor and Dartmoor National Park, visit nearby historic sites such as the Cotehele house and gardens and visit the lovely village of Calstock with its commanding Railway Viaduct. Further afield you have the pleasures of Whitsand Bay, a golden beach framed by dramatic landscape scenery, perfect for basking on a warm summer's day. A delightful getaway to choose for your next family holiday.